In September of 1987, I sailed my 30-foot Hughes Columbia sailboat south to Little River, South Carolina. After a few days of waiting weather, I exited the Little River Inlet and pointed the bow towards Bermuda, some 1,000 miles away. To find that small speck in the middle of the Atlantic, I had the most up-to-date navigational instruments of the time. They consisted of a compass, VHF radio, a sextant with complete tables, paper charts and a radio direction finder. Seven and a half days later, I tuned the RDF to the radio signal for St. Georges Harbor and my feelings of accomplishment were beyond explanation. Flash forward to the year 2000 as we were planning a trip through the Bahamas, Hispaniola and Cuba. We bought our first on-board computer with state-of-the-art navigational software and the most current electronic charts. We thought we had gone from the Santa Maria to the Starship Enterprise. Now, just 11 years later, that first navigational setup seems almost primitive. 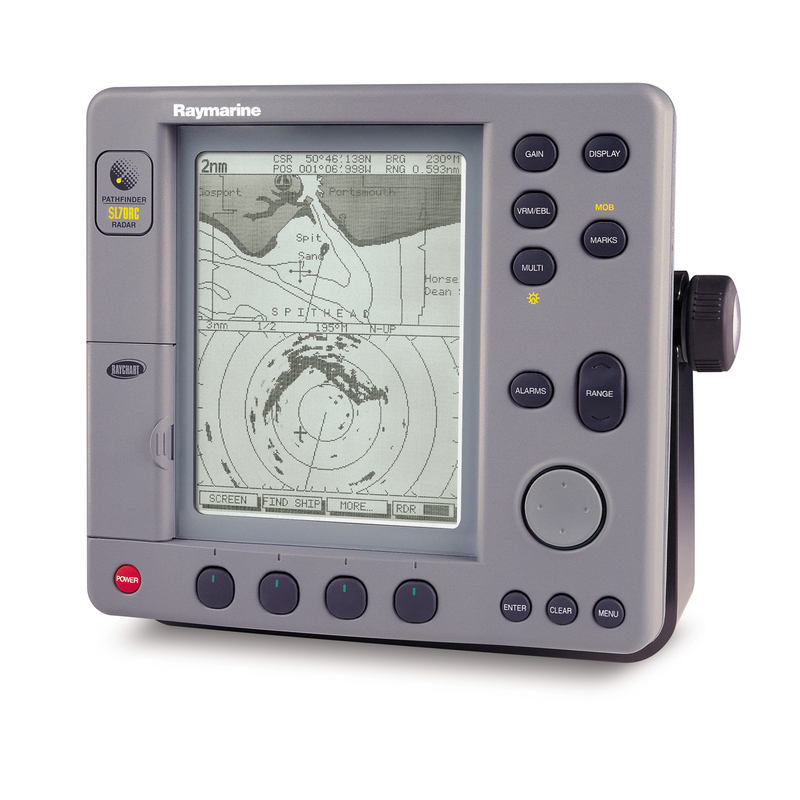 Today, we have a full complement of electronics, including our favorite, the chartplotter. 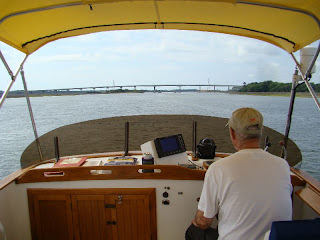 We didn’t install our first chartplotter until our cruise from Houston, Texas to Beaufort, South Carolina in 2007. Once we had it on board, we wondered how we had navigated all those thousands of miles for all of those years without one. Plotters are arguably the most popular piece of electronic equipment found on boats today. The advancements of plotters and GPS integration over the last 18 years are nothing short of astounding. In the early 90s, most all of us were still plotting our course on paper charts and using dividers, protractors, parallel rulers and a sharp number two pencil. Some time around 1993, all of that changed and the race was on for high tech, highly accurate electronic charting. In 1993, Raymarine introduced the Raychart 600 as an add-on to their radar system. The unit displayed on a CRT screen and the radar had to be switched off to view the crude monochrome display with little detail. In 1995, Garmin introduced the GPS Map 220. It boasted of viewing in 16 colors and retailed for over $2,000. These early chartplotters required expensive data cards or “chips” with limited storage space. A long distance cruiser might need up to 10 or more of these chips to cover all of their navigational areas. These chips were not updateable, so to have the most current, we would often have to purchase new cards if significant chart updates had been made. In 2003, Raymarine once again made major headway with their introduction of the C Series and E Series displays with the ability to integrate other onboard electronics to the same screen. The term chartplotter was already becoming a thing of the past. True chartplotters are getting harder and harder to find today as system integration becomes the norm even on small recreational vessels. Today’s multifunction displays or MFDs can display almost every other instrument connected to the system. This includes radar overlays, wind speed and direction, boat speed, depths and much more. All of this while providing a position on the electronic chart with accuracy within feet of where your boat actually is on the planet. The current offerings for MFDs are as spectacular as the improvements from 15 years ago. 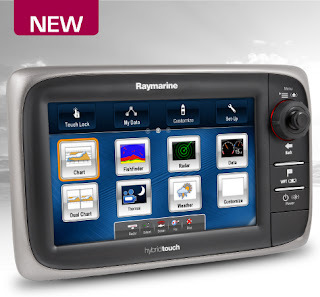 The new Raymarine e7 series, released in July 2011, contains a dual-core processor, touch screen technology and dedicated graphics for incredible speed and detailed display. The e7 has built in WiFi that will communicate with the Apple iPad, allowing it to be used as a repeater and much more. With the new LED backlighted screen, the e7 is incredibly bright and colorful, even in direct sunlight. The e7 can be integrated with Raymarine radar, night vision cameras, Sirius weather receivers, autopilots and other instruments and contains a 48-channel GPS receiver. Not to be outdone, other manufacturers are also bringing out some outstanding products. Simrad has introduced their new touch-screen NSSSport Series. The NSS Sport comes in three sizes and offers touch-screen, keypad and rotary control to provide the user with a variety of user controls to fit their comfort level. 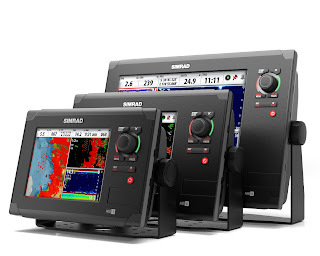 Ensuring ultimate flexibility, the NSS Sport can be networked to the Simrad NSO and NSE multifunction displays, as well as Simrad Yachting’s comprehensive range of innovative performance module options, including the award-winning Broadband Radar™, StructureScan™ Sonar Imaging, SonicHub™ marine audio server and WM-2 SIRIUS® satellite weather/radio module. The NSS Sport is also preloaded with Insight USA™ inland and coastal cartography, and is fully compatible with the complete range of Navionics chart options on microSD. Garmin’s new GPSMap 6000/7000 touch-screen offers state-of-the-art G motion technology and built-in worldwide maps, XM weather radio compatibility and allows support for radar, sonar and more. 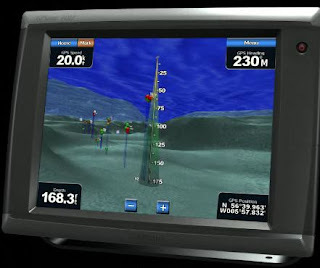 The G motion technology give the user unprecedented viewing of navigational charts. Many of the current displays include built-in charts for the entire United States coastal and inland waters. The need to purchase individual charting chips is also becoming a thing of the past. Satellite overlays, 3D imaging, weather overlays and video displays are but the beginning of more features, added capabilities and expansion we will see from all of the major manufacturers. 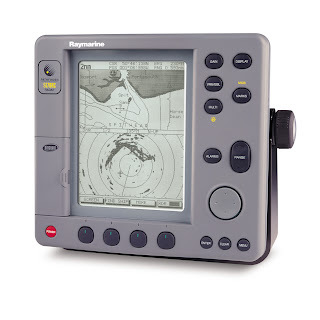 As users demand more integration with other mobile devices and more computer-like capabilities, companies like Raymarine, Garmin, Simrad and others will quickly introduce new and more exciting products, a long stretch from my first sextant and radio direction finder. A big word of caution is also needed with all of this technology. The temptation is great to fire up all of the electronics and head off into the sunset staring at your MFD and feeling you’re getting all of the information you could possibly need to navigate around the world. As great as these electronics are and with all of the information they can provide, they are by no means perfect. Nothing compares to a set of eyes constantly on watch for hazards and potential problems. No display can tell you if a log is floating in your path or if channel markers have been moved due to shoaling. Blindly following a plotter is a sure-fire recipe for disaster, and overly depending on any piece of equipment for the safety and security of your vessel and crew is foolish. We still keep paper charts on board because we have learned from experience that electronics can and do fail. When we want to look at the “big picture,” we can only do that on a set of the most current, up-to-date charts. We use a variety of sources for information and confirmation, and years of cruising and tens of thousands of miles under our keel have taught us that anything is possible. We want you all to stay safe out there. I tried posting this message before, but it seems to have been lost somehow. I was wondering if you had ever done any research on the composting heads like the airhead or nature's head. I have been considering them for our next boat, but was wondering what your opinion might be. Thanks.